Apple getting closer to their Augmented Reality product release? Will we see AR location services in 2017? The news point into this direction. Microsoft dropping the Holographic term. New insider build, Acer MR and more on augmented reality from Microsoft today! Interview with wikitude on their new release on their AR SDK and on the future of augmented reality. HoloMaps was just launched for the Hololens. This holographic map tool let´s you view 3D map data and enrich it with real-time data like tweets, annotations or traffic data. Read my first impression review on it and what you can use it for now. Back to the main idea of AR: support our imagination and visualize our ideas. SFX Master to bring AR fun to the family. Recap of the last weeks – who will win the AR race? Will it be Microsoft with their newly extended mixed reality setup including Virtual Reality now? Will it be Meta or Magic Leap? Time to move towards a mixed reality operating system out of flatland. Third and last part of my Digility conference recap. What will happen with AR and VR in the future? Where do we go? Let´s wrap it up! Recap of Digility, part 2. Let´s talk about the right content, the right questions and how VR and AR can and should change society. What´s the risk? Where do we go with this? 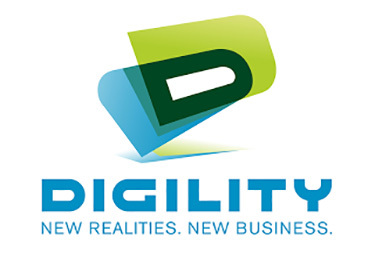 Recap Day 1 Part 1 of Digility Conference in Cologne. Two packed days with state of the art and the future of Augmented and Virtual Reality. Find out how AR can and will be used in rugged outdoor scenarios. Whast use cases and requirements do they have? Read my talk with RealWear`s CEO Andy Lowery.